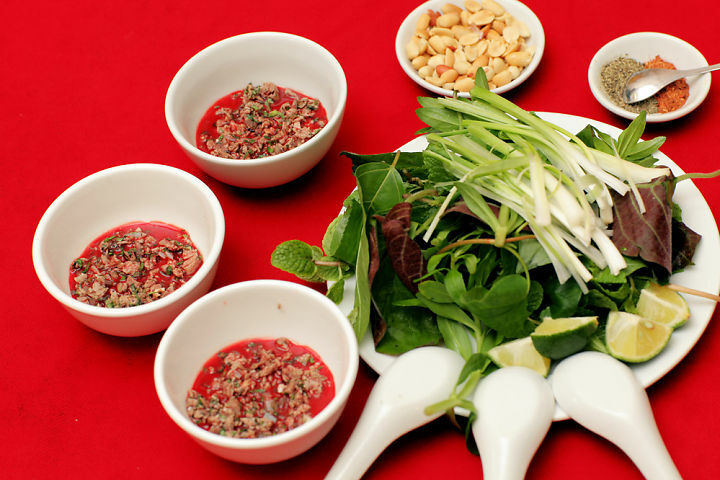 Talking about Vietnamese food maybe is not a new topic as it has been well-known around the world. Especially, after President Barack Obama had dinner with Chef Anthony Bourdain at a "hole-in-the-wall" restaurant in Hanoi, more and more people want to come to Vietnam to enjoy authentic Vietnamese cuisine. But what are the facts about their cooking culture? In this article, you won’t find the must-try food of specific places when you come to Indochina because they are so main stream and you can easily spot them in any articles about their cuisine. Instead, I will take you deep into the real culinary art of Vietnam with dishes that may sound weird or even disgusting at first, but when you try it, you will fall in love with them, or you can easily understand that these dishes are not "love at first sight." When I ask most of the foreign travellers about what dish impresses them most when they are in Hanoi, 95% of them will say that it is Bun Dau Mam Tom (noodle with fried tofu and shrimp sauce), and I really do agree with them. This food is presented in a quite simple way: a dish of noodle and a dish of fried tofu with boiled bacon and “cha com” (fried nuggets) along with a small cup of shrimp sauce. At first, the smell of shrimp sauce scared me and I bet any foreigner who has already tried this dish will know my feeling and I was about to give up trying this food, but I just wondered why couldn’t this smell stop the Hanoian from loving Bun Dau Mam Tom so I had the courage to take the first bite. And you know what, I did not make the wrong decision. I really still cannot understand why the local people can transform the very easy-to-find and simple ingredients like tofu, meat and noodles into such an amazing dish like Bun Dau Mam Tom. I once read an article about the most horrifying dishes in the world and I found the dish called Tiet Canh from Vietnam. And when I came to Vietnam, I was so determined to try it that I told my friend to take me to a Tiet Canh food stall. I have to admit that at first sight, I could not hide my horror. First, they put some pieces of bones and meat of the duck, and then they fill the bowl with fresh duck blood and finish with some peanuts. Raw vegetables are the best side-kick of this dish. I have to put all my efforts together to put the very first spoon of Tiet Canh in the mouth and can you guess what my very first impression is? Well, I will keep the secret for myself and let you explore the taste on your own. I guarantee I won’t let you down. In the European countries, we will never find pig’s ears in the supermarket as we only use the meat part to cook meals. 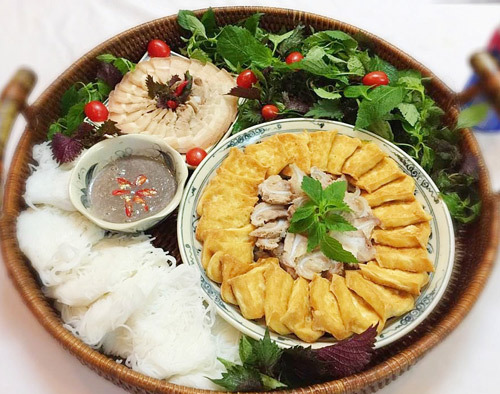 But when I travelled to Vietnam, I was quite surprised as the Vietnamese use the other parts of the pig such as nail rolls, head and specially the ears to make amazing dishes like Nem Tai. The Nem Tai is very crunchy and you will use rice papers to wrap the Nem Tai with raw vegetables and noodle. Such an amazing experience as I have never eaten other parts of the pig besides the meat part. And there is also other dish which uses the pig’s nail rolls called the Noodle with nails rolls and believe me, it’s way more tastier than the way it looks. Yes, another part of the pig, but this time it is the inner part. Seems like the Vietnamese really know how to take advantage of every part of the pig to create outstanding dishes, right? Well, at first the name of the dish may scare you, it scares me too, but as I say, this is not a love-at-first-sight dish, so try to skip the first impression and try it, right? 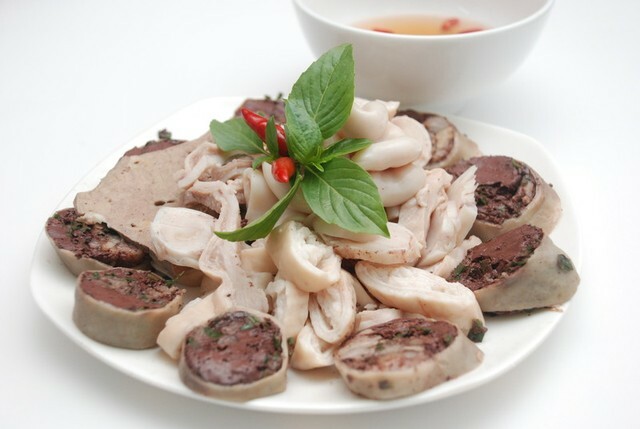 This dish contains many different inner parts such as the livers, stomach, sausage,..and they are boiled together and served with fish sauce or simply just chili sauce. My friend suggested eating this dish with some wine or beer and that is the perfect combination. No wonder why many Vietnamese people, especially men, really enjoy eating Long Lon Luoc and wine with their fellows. Well but that’s not all. 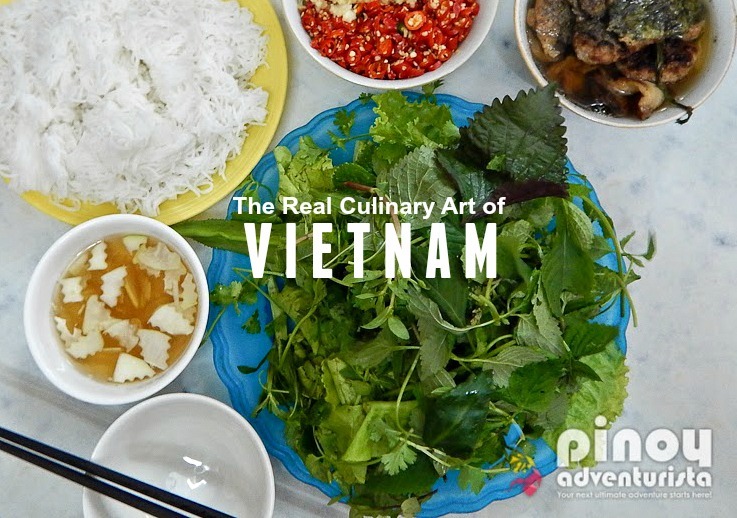 To explore further about that "weird" but exiting cuisine, why not let the expert guide you with a tour to Vietnam to explore more about the real Vietnamese culinary art and the bizarre dishes of this country. I’m sure that the food like those I’ve written about will show you the whole new cuisine world. I visited Vietnam once but I didn't know about these dishes. As normal information I only found their famous Pho or spring roll. I tried the egg coffee but I guess I missed quite a lot of things.